The Salvation Army has launched the Freedom Campaign to help raise a minimum of $4.5 million for the construction of the Northern Queensland Recovery Services Centre in Townsville. Thanks to our generous donors, $4 million has been raised so far. This facility will have 52-beds to support men, women and youth suffering from drug, alcohol and gambling addiction, replacing the current residential facility that offers 32 places. The Salvation Army's territorial leader, Commissioner James Condon, says the centre will provide an opportunity for those affected to find freedom from their addiction and go on to lead lives full of hope and purpose. 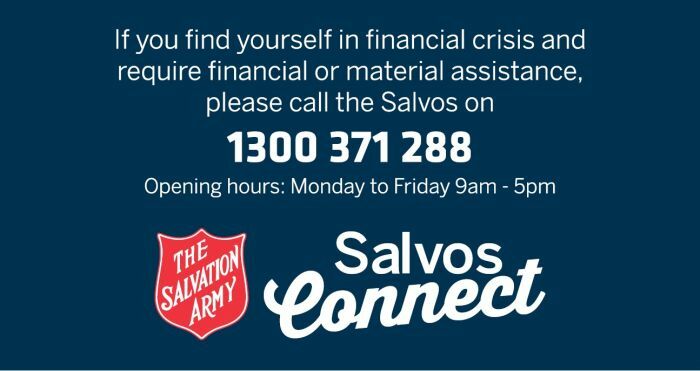 He says the Salvos want to see this centre bringing hope where it’s needed most in this community –but we can only do this with through the generous support of others. Damien is proof of someone finding freedom from their addiction. Damien was 12 when he started smoking cigarettes, which soon progressed to marijuana. By the time he left school he was heavily into heroin. Damien found his way to a Salvation Army recovery services centre where he got help. He says that life now is exciting and he feels free: "I have changed as a person, I do have a life now." The Northern Queensland Recovery Services Centre will greatly assist The Salvation Army in its treatment and care of those suffering from addiction in the North Queensland area. Help us help people find freedom. To donate to The Freedom Campaign click here.